At the Wilson Center on January 28, Eaton spoke about the process of creating the story and was joined by Imelda Abano, a journalist for Eco-Business, who discussedo the film and the challenges of reporting on population and the environment in the Philippines. As an environmental journalist, Eaton said he has wanted to cover population for some time. “It’s a really difficult subject to do in a thorough way,” he said, adding that he “felt a lot of pressure” to “strike the right balance” in producing these pieces. In the Philippines, Eaton connected with PATH Foundation Philippines, Inc., whose pilot program in Humayhumay had “all the elements of a good story.” For more than a decade PATH has operated programs that combine conservation interventions with reproductive health services. By meeting unmet demand for family planning, such population, health, and environment (PHE) projects can help reduce population pressures that are impacting the environment, health, and food security of these communities. The Philippines is an ideal target for such programs. Not only is it a biological hotspot, but it also is experiencing population pressure that puts the livelihoods of its inhabitants at risk. And there is a clear need for contraceptive services; according to the most recent Demographic and Health Survey, 22 percent of Filipino women have an unmet need for family planning, which means they don’t wish to have children immediately but are not using contraception. Eaton has kept his experiences in mind as he prepares for his next series about the future of food, to be aired on Public Radio International’s The World in April or May. He recalled the struggle villagers faced between putting food on the table today and protecting the environment for future generations. The Philippines is one of the most densely populated and fastest growing countries in the world. “We are beyond the carrying capacity of the country with almost 100 million [people] in a very tiny, low-lying area,” said Abano. Poverty, the decentralized nature of the country, and a strong Catholic Church presence have hindered attempts to make contraceptives and reproductive health services more widely available. But there have been recent changes. A major reproductive health bill granting access to family planning for the poorest women in the country was passed by Congress in December after a furious national debate. Abano hopes this may be a sign of things to come. Eaton was gratified by the response to his reporting. “When these stories came out…I was holding my breath and waiting for the slew of hate mail to come in, and it didn’t happen,” he said. “I feel like the conversation may be changing…I think people really see that there is resource scarcity,” and that it is difficult to address scarcity without meeting reproductive health demands around the world. In fact, after his story aired, PATH Foundation Philippines, Inc., received an influx of donations, which were used to deliver contraceptive kits to convenience stores across Bohol Island. Sources: MEASURE, The New York Times, UN Population Division. 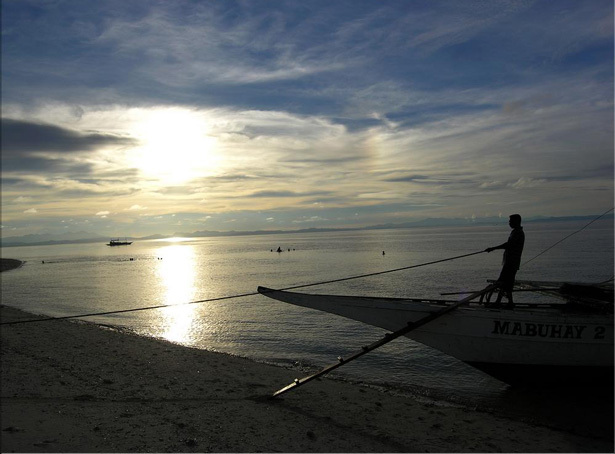 Photo Credit: Malapascua Island, Philippines, courtesy of flickr user marcovdz.